1989 Rabbitohs: Where are they now? | The Courier-Mail. PAUL Roberts lost an eye for everything that made them great. “Yeah, pub fight,” the 1989 Rabbitoh shrugs. “There were two guys, big fellas, laying into my cousin. So, you know, whaddya do? 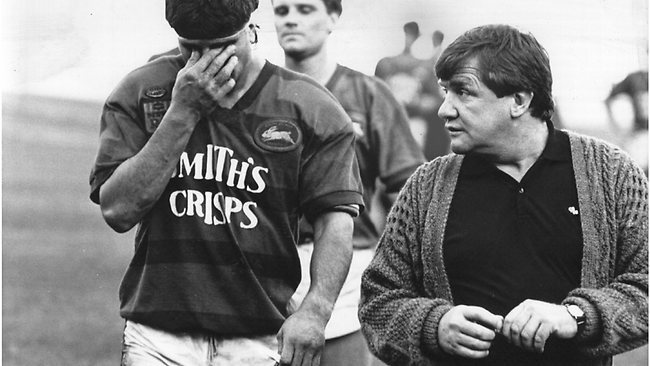 A Sydney bricklayer for 34 years and counting, Roberts is also the anonymous heartbeat for that most revered, recited and recollected Rabbitohs side of the modern era — the Class Of 1989. And he has to be. 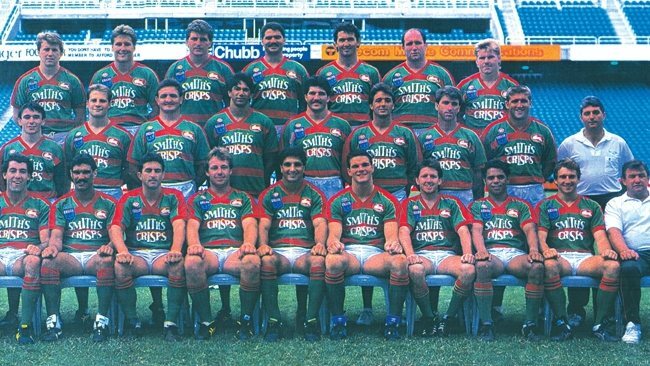 1989 South Sydney team who won the minor premiership. Same deal Port Macquarie truckie Bruce Longbotton. Or Port Botany wharfie Steve Mavin. Yep, while the current Rabbitohs are a humming mix of Hollywood dollars and Queenslander brilliance — of no less than eight men who boast Australian, English or New Zealand Test caps — the last mob of Redfern minor premiers weren’t quite so shiny. No, success in ’89 was built on the type of fellas who turned cards at the Georges Hotel. Who would miss future reunions serving jail time. Unshakable types who would tear in to help a mate . . . even when schooner glasses were being broken on tables. 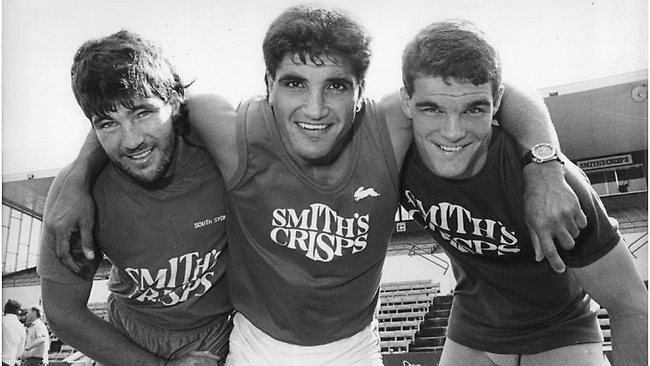 The 1989 front row – Les Davidson, Mario Fenech and Ian Roberts. “Oh, a complete mob of rascals,” grins skipper Mario Fenech. Which is why, while everyone remembers this mob as the side which dropped the ball — quite literally in the case of Mavin — the real story is how, under the tutelege of coach George Piggins, they got within a whisker of the grand final in the first place. How 22 years after his last game, Bronko Djura still has folk walk into the Wentforth Falls bowling club he manages and, upon hearing that famed moniker, ask to shout the old fullback a beer. George Piggins (R) coached the 1989 side. Certainly there may be a little truth to that. 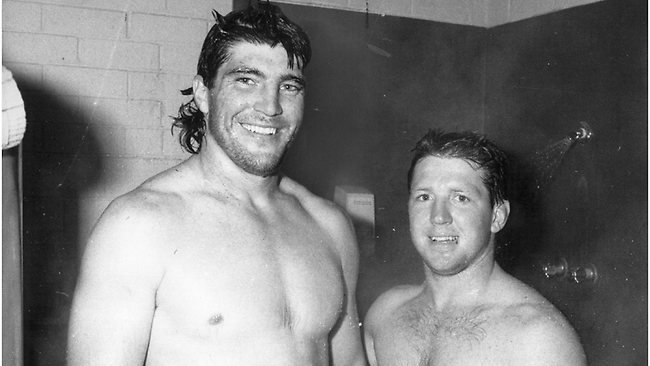 For while Les Davidson earned five Test jerseys and Phil Blake a Tooheys commercial, centre Mark Lyons works the Bunnies’ dressing-room door on game days with almost the entire office staff having no idea ­who he is. Elsewhere, “Turtle” Rampling is in construction. Ross Harrington runs the Lithgow Driving School. While lock Mark Andrews, well, he was just another face in that English crowd when our Jillaroos won the Women’s World Cup recently. “I’ve got seven kids and my daughter Emily, she was part of the side,” Andrews says. Les Davidson (R) was the brawn, Craig Coleman was the brains. Asked about his own team’s achievements in ’89, when after 13 straight wins they would eventually bow out of the finals on consecutive losses, the warehouse boss continues: “That side found ways to win when we had no right to. Davidson agrees. Now working a crane at the Port Botany wharves, the ageing enforcer credits “more attitude than skill” for them conceding only 31 tries all year. Which is why, 24 years on, these footballers still know the whereabouts of every mate. Why they meet more regularly than premierships sides and, as was the case over more than a few beers last Friday night at ANZ Stadium, pick up straight from where the last gag left off. Like asking a one-eyed brickie how straight he now lays them? “Funny thing was, I wasn’t even supposed to be at the pub that afternoon,” Roberts recalls. “It was a work day but, because it started to rain, the boss called us off early, took everyone to the pub.